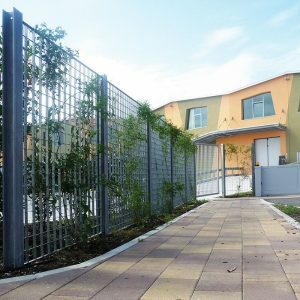 Grating fences provide an effective solution for the support of climbing plants, with a proven durability and long lasting finish which is particularly important in establishing a permanent screen. 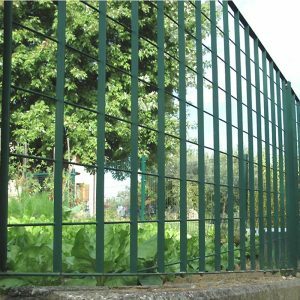 Genoa with a strong but relatively light-weight 124x132mm aperture is often the fencing of choice for planting trellis, but one of the other grating fences may be more appropriate where a greater level of initial security is required. Panels can be stacked using an appropriate post to any height. Once established this will create a ‘green wall’ effect which is increasingly favoured by Planning Departments in reducing the impact of larger developments on the local environment.